Speculation and analysis abound about the future of our relations with Egypt, the ascendancy there of the Muslim Brotherhood, and the threat of impending war with Israel. There is no shortage of pundits on the outside looking in, but for a perspective from the eye of the storm, so to speak, I reached out to interview my courageous friend Cynthia Farahat in Cairo. Cynthia is a young political activist, dissident, and Coptic Christian – a combination that paints a bright red target on one’s back in Egypt. Her recent article in the Middle East Quarterly and an interview with Bill Whittle of PJTVhave begun to earn her recognition as an expert political analyst. My political activism began after 9/11, for two reasons: first, I was heartbroken by the shocking evil and cowardice of the attacks on the unsuspecting, peaceful people in the Twin Towers. Second, I was compelled by the fact that those people were paying tax dollars to fund the so-called “moderate” Mubarak dictatorship, whose state-sponsored media celebrated 9/11 and the death of American “infidels.” The virtue of empathy is severely lacking in Arab regimes. We don’t even have a word for “empathy” in Arabic. I saw that I would be compliant with their crimes if I stayed silent. My main goal is to collaborate with strong secular civil groups against theocratic forces, because I have seen their ideas fly into your buildings. So I met with like-minded people and co-founded the Egyptian Liberal Party, the first political party in Egypt that openly calls for secularism and capitalism. 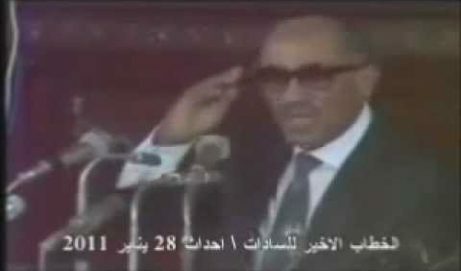 Our party was banned by a court order at the same time that the Mubarak regime opened up the parliament for the Muslim Brotherhood. 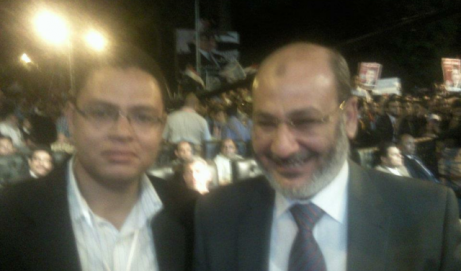 I always believed the Brotherhood was part of the Mubarak regime, and that he couldn’t have functioned without it. MT: When the so-called “Arab Spring” kicked off in Egypt, I know you were very optimistic and excited about the possibilities for liberal democracy in Egypt. Has your perspective changed any since then? CF: My optimism is still strong, but it’s not merely a hopeful delusion. I used to believe that if someone is optimistic about Arab or Egyptian politics there must be something wrong with them. I still believe this regarding the government because the system has not changed: almost half the Egyptian workforce works for the government. Hardly anything can change in the presence of such a massive bureaucracy. My optimism stems from my conclusion after observing the Egyptian people during the protests, and up until now. For the first time in six decades Egyptian masses started demanding their rights, and demanding democracy and a peaceful transition of power, which is a major step against Islamic fundamentalism. I saw a remarkable and unexpected display of civility, tolerance, and well-articulated demands from unorganized Egyptian protesters. The Egypt I lived in all my life under Mubarak was certainly not the Egypt I saw in Tahrir Square, apart from the regime thugs that attacked protesters and journalists. Rejecting Mubarak brought out the best in Egypt. Demanding democracy in an Islamic constitutional theocracy is in fact a secular demand, an implicit recognition that Egyptian masses reject the concept ofkhilāfa, the caliphate, and that the reference for governance should be the people and not Sharia Law. This frightens other Arab dictators and the Muslim Brotherhood, who started having serious organizational problems because the massive wave of demands for democracy has impacted their internal structure. Having said that, I’m still very realistic in my expectations. It certainly is a long process but this is the first step. Egyptians have been enslaved and silenced under an Islamic socialist military dictatorship for 60 years. Free speech is almost always severely punished by harassment, threats, torture, imprisonment or death. Egyptians have been isolated, intimidated and brainwashed into perceiving a distorted version of reality and the outside world. It would be utopian and unreal to expect them now to the say all the things we want to hear. But that certainly is the first step, and there is no going back. MT: Middle East analysts such as Barry Rubin believe “Egypt is the New Iran,”that just as “Jimmy Carter’s incompetence helped give us Islamist Iran, Barack Obama’s incompetence and ideology helped give us radical (perhaps Islamist) Egypt.” Do you think that’s a legitimate comparison, that Egypt is rapidly and inevitably becoming a fundamentalist Islamic state openly hostile to America and Israel? CF: With all my respect to Barry Rubin and others with whom I agree on other issues, I certainly disagree with that analysis. I believe the question isn’t whether Egypt is heading toward a fundamentalist Islamic state, but if it will continue to be one; I wrote an article for Middle East Quarterly to try to answer this question. Egypt was already a fundamentalist Islamic state with a Sharia-based constitution, hostile to America and Israel to the extent of advocating cannibalizing Jews on state-sponsored media. If this isn’t hostility and fundamentalism, I don’t know what is. So the only difference is that now people like me who advocate genuine peace are coming into the light and taking an active role in the marketplace of ideas for the first time in 60 years. For a decade now I used to think that there was very few of us; now I know for a fact because I saw it, that we are in the millions. Apart from the Islamists and state security mobs, Tahrir Square was quite civilized; standing there, I actually said to myself that this was an Egyptian Tea Party movement – that’s how remarkable it was. It was beyond my wildest expectations. We are certainly not as organized as the Islamists because we were the ones who were banned and segregated, but we are getting there. If anti-Semitism and Christianophobia are widespread in Egypt I blame the so-called “moderate” Arab regime that built its stability on xenophobia to create a convenient enemy outside our borders, and systematically persecuted and killed Christians inside our borders. As for comparing Egypt to Iran, I don’t believe it’s accurate for two reasons. One, we already have a Sunni Iran, and it’s called Saudi Arabia; I don’t see it welcoming competition, although Saudi Arabia is pouring money in Egypt to fund Islamism and the Egyptian army recently welcomed 3000 jihadists back to Egypt to use as leverage against America, Israel, secularists, Christians and reformers in Egypt. But they are extremely unpopular among the Muslim masses who just want to live in peace and go on with their daily lives. The second reason is that Egypt relies on U.S. and European aid, and I believe the Egyptian regime would be only as radical as the world allows it to be. MT: You say that the masses don’t want anything to do with the Muslim Brotherhood agenda. Even if that’s true, the Brotherhood is solidifying power and rewriting the Constitution to exclude Christians and reformers. 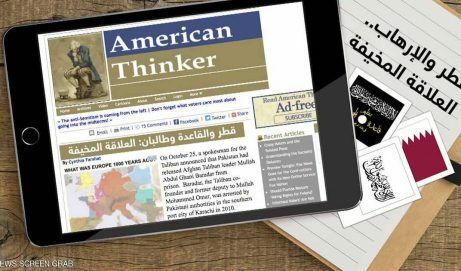 A Los Angeles Times report claims that secular reformers like your Egyptian Liberal Party ”lack experience and grass-roots networks to compete with the Brotherhood.” And President Obama himself seems to be embracing a prominent Brotherhood presence in the government, possibly even in the presidency itself. Once the Brotherhood is entrenched in power, how will the Egyptian people and reformers like you be able to reject their fundamentalism and assert your values? CF: Secular reformers don’t lack experience. We are certainly less organized as a result of being banned, but we have a lot of experience working under a regime that banned and terrorized us. As for the constitution, we should consider that the Supreme Council for the Armed Forces (SCAF) appointed members of the Muslim Brotherhood to be in the constitutional referendum committee – assigned by the very institution that always pretended to be against them! The Brotherhood is definitely popular in some areas, but they are not in the committee drafting the constitution because they were elected to do so, but because the SCAF hired them. The true nature of the close relationship between Egyptian regimes and the Muslim Brotherhood for the past 60 years is what decides the Brotherhood’s position in the government. They both believe in Islamic socialism and the implementation of Sharia Law. They have always been part of the regime and not really the opposition as the regime claimed, and many Egyptians are finally seeing that fact. President Obama’s position toward the Muslim Brotherhood works against real reformers in Egypt. The Brotherhood are an international criminal enterprise, the mother of groups like al-Gama’at al-Islamiya and al-Qaeda. Underestimating their danger is a fatal mistake. But I don’t think they will reach the presidency; nor will anyone else for that matter. I believe Egypt is still firmly governed by a military oligarchy and will be for a while. Ironically, if a Muslim Brother is elected as president it would be by a bureaucracy that wants to maintain the status quo, because the Brotherhood is very similar to the regime. MT: Attacks against the Coptic Christian minority and their churches, including the kidnapping and forced conversion of Christian girls, have intensified since the Egyptian uprising. Many are fleeing Egypt. As a Copt yourself, do you fear not only for your own safety, but for the future of your community and of religious freedom in your country? What can the world do to support the Coptic community? I must say that there are plenty of Muslims including friends of mine who have been harassed and imprisoned for working relentlessly to demand justice for Christians. And I expect that such crimes will continue, as nothing has changed on a governmental level. The regime will still organize attacks against Christians whenever it wants to divert attention from its crimes. The international community has much more power than it realizes. We can get serious help if the problem is properly diagnosed. Naming the real criminal is the key. The enemy of Christians is not regular Egyptian Muslims; Muslims in my neighborhood have actually protected the church on my street from Mubarak’s mobs! The international community should hold the state fully responsible for these crimes. I do fear for my safety of course, and the future of religious freedom in Egypt – but from the state, not from regular Egyptian Muslims.